-Copy recording pages, one for each student. 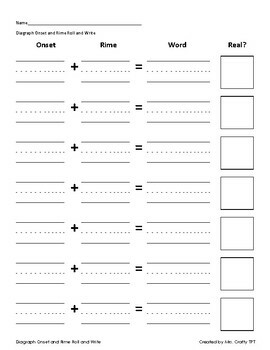 You could also laminate or put into a binder sleeve and have students use dry erase markers. 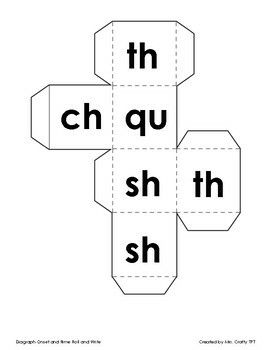 -Students roll both die and then slide them together to create a word. -Have students sound out and read the word. -Then students will fill in the Onset and Rime on their recording sheet. They will also have to determine if it is a real word or nonsense word.